This chilling NYT bestseller from Anthony Horowitz, "a master of edge-of-your-seat writing" (Booklist, starred) is "an exhilarating read" (Kirkus) that "should attract a strong following" (PW)As punishment for a crime he didn't really commit, Matt was given a choice: go to jail or go live with an old woman named Mrs. Deverill in a remote town called Lesser Malling. He should have chosen jail. A strange and sinister plan is coming together made in Lesser Malling, with Matt at the center of it all. People who try to help him disappear . . . or die. 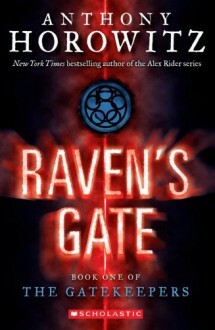 It all ties to an evil place named Raven's Gate - a place whose destiny is horrifyingly intertwined with Matt's own.